This would also be great packaged up in pretty boxes as a holiday gift. It is easy to make and tastes delicious. 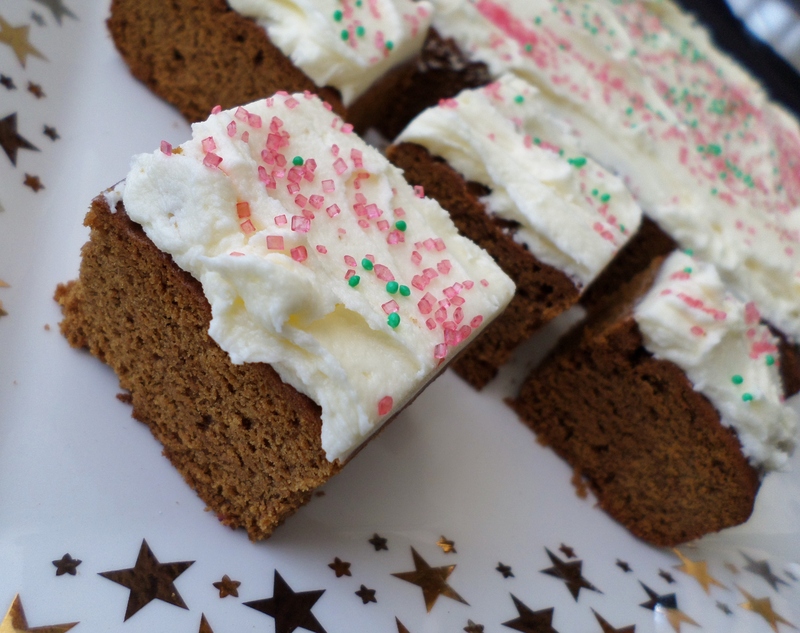 The hint of lemon in the buttercream frosting works perfectly with the dense gingerbread cake. 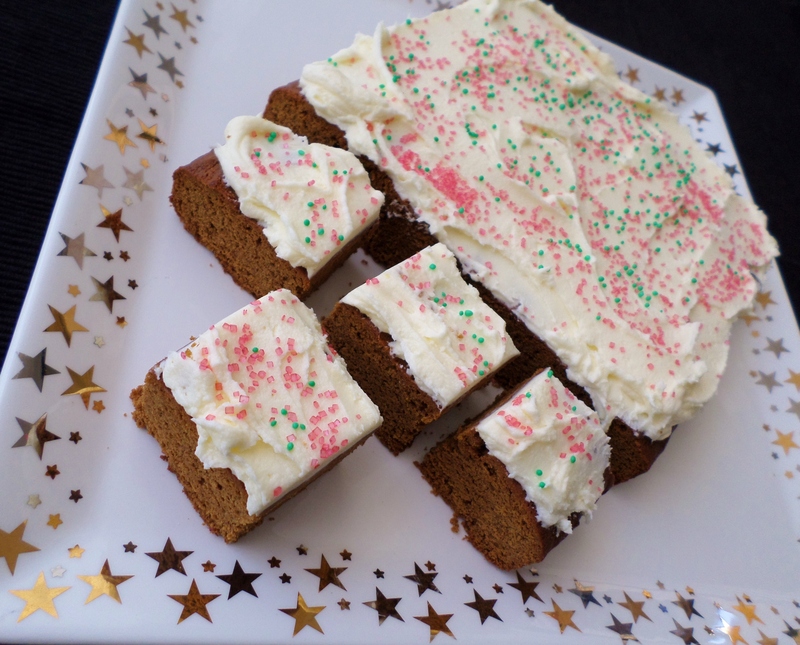 I got this recipe from the December 2017 issue of Super Food Ideas magazine but I adapted the frosting to my preference. Put the butter, sugar and treacle into a medium saucepan and place over a low heat. Cook, stirring occasionally, until the butter melts. Bring to the bubble then remove from the heat and stir in the bicarbonate of soda. The mixture will foam up and fill the saucepan. Set aside for 10 minutes to cool as it will be very hot. Heat your oven to 180C/160C fan forced/350F. Line a slice pan which is 30cm x 20cm (12 inches x 8 inches) with non-stick baking paper. Transfer the treacle mixture to a heatproof bowl. Add the egg and stir to combine. Fold in the flour, ginger and allspice then quickly transfer to the prepared pan and spread evenly. Bake for 20 minutes or until just firm to the touch, then remove from the oven and leave to cool in the pan. To make the frosting, beat the butter until pale and smooth then gradually add the icing sugar. Beat until creamy then stir in the lemon juice. 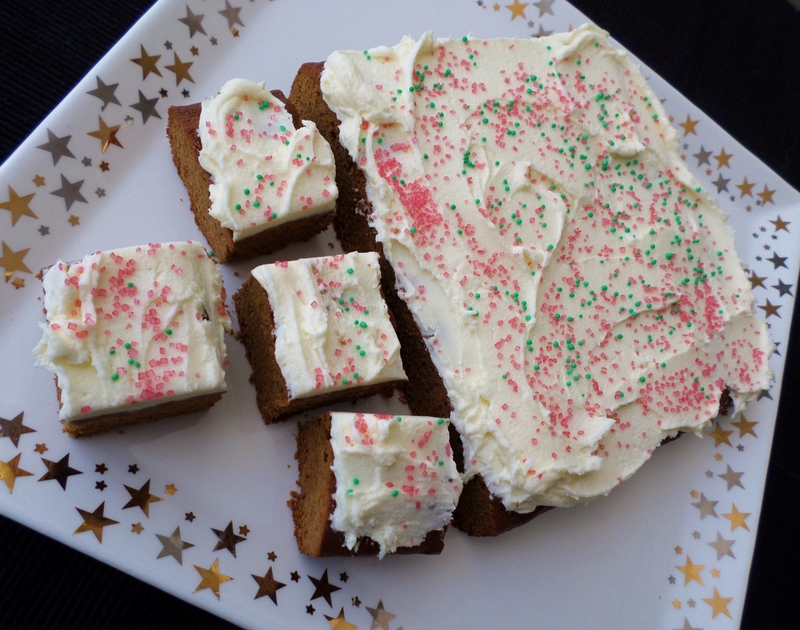 Spread the frosting over the cooled slab cake then decorate with sprinkles. Cut into bite-sized squares and serve. This entry was posted in Baking and tagged Baking, Christmas, Food, Food gifts, Gingerbread, Holidays, Recipe, Recipes. Bookmark the permalink. Delicious, looks so moist and soft and tasty! OMW! That sounds and looks delicious. I love gingerbread.